Hi there! Don’t worry, you’re in the right place. This blog used to be known as Eating Niagara, written by me, Tiffany Mayer, but it’s undergone a bit of a makeover. You'll find my latest blog posts and recipes here, along with links to my food writing published elsewhere. I seem to be doing more of that lately and I realize a lot of it may interest you. This space provides me with a better way to share it. Eating Niagara was good to me. I still have a regular column in the local dailies that goes by that name and it's still how people on social media know me. But after eight and a half years, it was time for a change that allowed me to more comfortably explore food beyond the peninsula's borders and share it without feeling like I was going "off-brand" as the kids call it today. Grub by Eating Niagara felt like a natural evolution. So now for some background about me and what led me to food blogging in the first place. I spent eight years as a daily news reporter. Most of that time was devoted to covering agriculture. Since leaving the newsroom, I continue to feed my love of all things food and farming through freelancing and with this website, which I launched in its first incarnation in 2009. 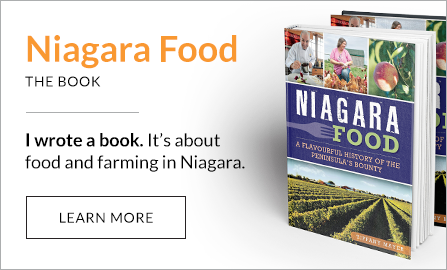 My first book, Niagara Food: A Flavourful History of the Peninsula's Bounty was published by The History Press in 2014. It's a love letter to Niagara, which has been my personal and professional muse for more than a decade now. In addition to my column that runs in the local papers, I also write for/have written for Vines, WestJet Magazine, Lifetime Daily, The Hamilton Spectator, Edible Toronto, The Toronto Star, Edible Buffalo, The Western Producer, Niagara Life Magazine, Biz Magazine, and the Culture Trip. Every two weeks on Tuesdays, Tom McConnell shares the airwaves with me on 610 CKTB. No surprise, we talk about food. Some of my recipes have been featured on Food52.com, greenbeltfresh.ca, National Kale Day Cooks and on The Food Network website. The Ontario Culinary Tourism Alliance named this blog's former incarnation as one of its Ontario Food Blogs We Love in 2014. In 2015, I won the Social Media Club - Niagara award for personal branding for all this food talk. So as you can see, I really love writing and gabbing about food and farming. I discovered my love of agriculture going to university in Alberta during a pork pricing crisis and later in Saskatchewan, when that province was in the throes of the "Grain Drain." Farmers were simply walking away from their land because they couldn't make a sustainable living. My first reporting gig was in one of the most interesting and diverse farming areas of Ontario — Norfolk County a.k.a. the buckle of the tobacco belt — during a time of transition. It was there that I met some of the most innovative and passionate people working the land and trying to find profitable alternatives to the once mighty golden leaf. From there, I landed in Niagara, the buckle of Ontario's tender fruit belt. I continued to meet amazing people doing incredible things. All the while, I had the privilege of telling their stories and being well-fed. My goal with Grub is to continue telling the stories of the people growing and making our food here and share my stories as an eater. I do it all out of a genuine passion for farming and food. And I'm grateful to you for joining me here. My posts are honest and self-generated, though I do the odd sponsored post for causes and organizations that align with my personal values. 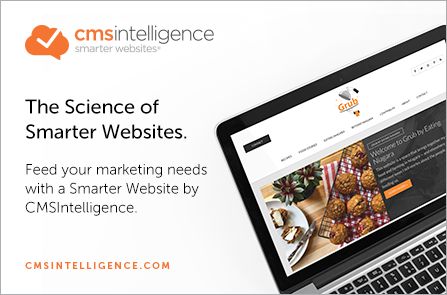 You can find those sponsored posts clearly marked in the Marketplace section on the home page of this website. The Ontario Culinary Tourism Alliance named Eating Niagara to their list of Ontario Food Blogs We Love. I founded the Garden of Eating — Niagara, a registered non-profit that harvested fruit for social agencies. It ran for eight years and got 15,000 pounds of fresh fruit into the hands of people who needed it and out of landfill. Kale is my favourite vegetable. I hate celery. I have two cats: Beauregard and Otis. I was a speaker at TEDx St. Catharines in October 2012. I love a good glass of Riesling but I go weak in the knees for an oatmeal stout or porter. MCA was my favourite Beastie Boy. I get teary eyed every May 4, the anniversary of his death. I can spin wool but I don't know how to knit. I've been nominated for and have won a handful of journalism awards but am most proud of my Canadian Farm Writers' Federation gold award for daily agriculture reporting in 2009. Before I became a vegetarian, I used to love going to truck stops for liver and onions. I will never take myself too seriously. Did I miss something? Drop me a line. I'd love to hear from you.